Twist Bioscience, a San Francisco-based company focused on synthetic DNA, and Ginkgo Bioworks, a Boston-based organism design company, announced today (Wednesday November 4) an “unprecedented agreement” for the purchase of synthetic DNA. 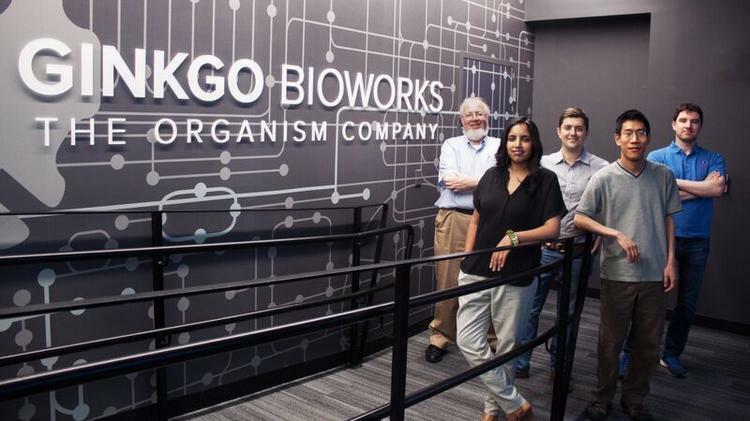 According to the terms, Twist Bioscience will supply Ginkgo Bioworks with a minimum of 100 million base pairs of synthetic DNA over the course of a one-year period. This is a quantity equal to ten per cent of the total DNA synthesis market in 2015. Ginkgo Bioworks will use the synthetic DNA -- comprised of gene-length, de novo sequences -- to enable rapid prototyping to meet customer needs in industries from fragrance and flavors to cosmetics, nutrition, and health. The DNA provided by Twist is the raw material for full-capacity production in Ginkgo’s foundry, Bioworks1, and is intended to enable the projected expansion of Bioworks2 in 2016. “More and more companies are reaching out to Ginkgo to develop their biotech strategy for product development and manufacturing. The ability to access this quantity and quality of synthetic DNA at a reasonable cost enables us to meet our customers’ needs for custom organisms built at the full scale of our foundry,” said Jason Kelly, co-founder and CEO of Ginkgo Bioworks. “After participating in Twist’s alpha manufacturing program, we are very excited to receive synthetic DNA on this unprecedented scale, representing a significant and growing share of the global DNA synthesis market.” “This agreement with Ginkgo Bioworks marks a significant milestone for Twist Bioscience and sets the stage for continued growth as we head into our beta launch of our silicon-based DNA synthesis platform in early 2016,” said Emily Leproust, Ph.D., CEO of Twist Bioscience. The fathead minnow (Pimephales promelas) has long been a premier animal model for research and regulation related to environmental toxins. Unfortunately, however, genetic information about this species has been quite incomplete. The lack of genome sequence information for the species has limited scientists' ability to dissect complex traits, evaluate genetic markers, identify gene regulatory sequences, and elucidate biological pathways. Now, investigators have addressed the need for genome-scale information for the fathead minnow by generating in-depth sequence information using next-generation sequencing (NGS) methods and making both the sequence data and two draft genome assemblies publicly available. The information will enhance the utility of the fathead minnow as a model organism for studying the mechanisms of environmental toxins. "This research will help build the scientific foundation for greater use of predictive ecotoxicology and illustrates the collaborative synergy among industry, academia, and regulatory agency researchers," said Robert Hoke, Ph.D., lead author of the Environmental Toxicology & Chemistry study, which was published online on October 29, 2015. The article is titled “Sequencing and de novo Draft Assemblies of a Fathead Minnow (Pimephales promelas) Reference Genome.” Dr. Hoke is Principle Environmental Toxicologist at the Haskell Global Centers for Health and Environmental Sciences, E.I. du Pont de Nemours, Newark, Delaware, USA. Evidence has been mounting that female monarch butterflies are better at flying and more successful at migration than males, and researchers from the University of Georgia have now come up with an explanation--but not one that they expected. In the new study comparing physical traits of female and male monarchs, the scientists found that, although female monarchs have smaller wings and smaller flight muscles than males, their wings are thicker and also bear less weight per square inch, making them both sturdier and more efficient in flight. "Both of these elements would play important roles in determining the outcome of the migration," said the study's lead author Andy Davis, Ph.D., a research scientist in UGA's Odum School of Ecology (http://www.ecology.uga.edu). "Until now, we had no idea why females were better flyers than males, but this study definitely helps to answer that question." For the study, published recently in an open-access article in the Journal of Insects, Dr. Davis and co-author Michael Holden, an undergraduate ecology student, measured the wings and body parts of 47 male and 45 female monarch butterflies, specifically targeting those characteristics that are important for flight, such as the ratio of wing size to body size, the size of flight muscles, and wing thickness. "We expected we'd find that females have bigger flight muscles, but it was the opposite," said Holden, who will graduate in spring 2016 with a bachelor's degree in ecology and will document moth species next year through an internship in Costa Rica. "Males had the largest muscles." Their analysis revealed, however, that female bodies tend to be lighter in relation to their wing size, meaning their wings have to carry less weight overall. This would make their flight more efficient. Researchers at the University of Massachusetts Medical School have shown, in a study of patients with alcohol hepatitis, that alcohol increases extracellular vesicle (EV) production (mostly exosomes) in monocytes, that alcohol-exposed monocytes communicate with naive monocytes via EVs, and that microRNA-27a (miR-27a) cargo in monocyte-derived EVs can program naive monocytes to polarize into M2-macrophages. The authors conclude that, because EVs are know to function as an important method of cellular communication during diseases, it will be interesting to further explore the therapeutic potential of EVs in alcoholic liver disease (ALD). They noted that their data suggests that miR-27a is not only important for macrophage differentiation and polarization, but may also have other regulatory roles during ALD, which is beyond the scope of their present study. They wrote that “our study highlights a novel communication via EVs between immune cells in the presence of ethanol. Thus, further studies of the molecular mechanisms underlying cell-cell communication via the EVs will facilitate better understanding of the effects of alcohol on the immune cells.” The new work was reported online on November 2, 2015 in an open-access article in the prestigious Journal of Biological Chemistry. The article is titled “MicroRNA Cargo of Extracellular Vesicles from Alcohol-Exposed Monocytes Signals Naïve Monocytes to Differentiate into M2 Macrophages.” Co-first authors are Banishree Saha and Fatemeh Momen-Heravi and the senior author is Gyongyi Szabo (photo), M.D., Ph.D. The fourth author is Karen Kodys. Dr. Szabo, Professor in the Department of Medicine at U-Mass Medical School, earned her M.D. and Ph.D. in Hungary. Dr.